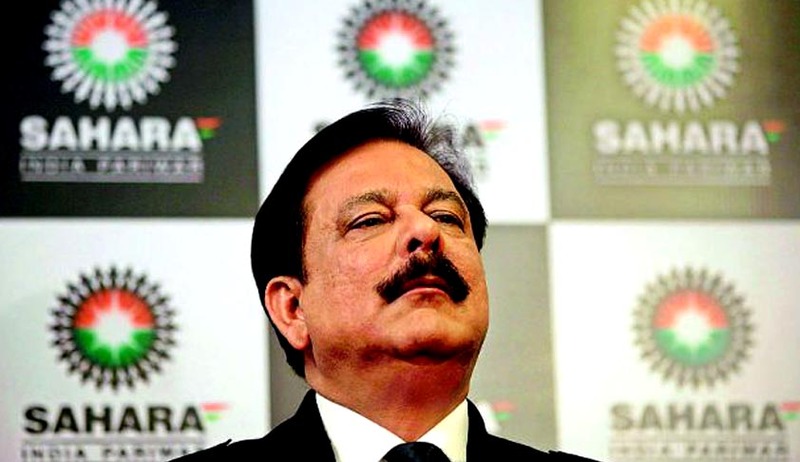 The Supreme Court on Monday refused to grant bail to the Chief of Sahara Group, Shri Subroto Roy Sahara, and held that it will facilitate negotiations for Sahara to sell properties in India and abroad. Mr. Roy had prayed for release for a period of 40 days in order to finalize the sale of three overseas hotels owned by the Sahara Group. The Court nonetheless, allowed Mr. Roy to negotiate his business deals from a guest house in Delhi between 10 a.m. and 4 p.m. on the days it was required, provided he could come up with a concrete and satisfactory proposal. The Bench comprising of Justices TS Thakur, Anil R. Dave and AK Sikri further allowed the three offshore hotel properties owned by Saharas to be transferred, sold or encumbered subject to the condition that the entire sale consideration received by the Saharas after repayment of the loan outstanding towards the Bank of China is deposited with SEBI towards compliance with the directions contained in the conditional bail order dated 26/03/2014 passed by the Court. The excess amount, if any, was ordered to be deposited by the Saharas in a separate account to await orders from this Court regarding their utilization. Pursuant to passing the aforesaid judgment, the Bench requested Shri Shekhar Naphade, Senior Advocate, to assist the Court in the case as Amicus Curiae. The Sahara Chief has been in jail for the past four months when he was initially taken into custody on March 4th for failure of two Sahara group companies in complying with the Supreme Court's order to return Rs. 24,000 Crores to investors. The money was collected by Sahara group companies through financial instruments that were later ruled illegal. The Apex Court had also previously ordered Sahara Group to furnish Rs. 10,000 Crores as bail for its chief. The Sahara-SEBI controversy has raised much controversy in recent times and has dominated headlines for the past two years when in 2012, the Supreme Court ordered Sahara to repay, with interest, all the investors who subscribed to bonds sold by two of its businesses, saying the company had not prescribed to SEBI rules for public issues and terming the entire process as "dubious". Ostensibly, Sahara firms had offered highly lucrative bonds to the investors with a promise of returning three times the face value after a time frame of 10 years. While Sahara reiterated that it had made payments towards most of the money, the Court and SEBI have disputed that. The Supreme Court has adopted a tough stand on the issue from the time the questionable transactions came to light; wherein it had earlier rejected the conglomerate’s multiple proposals to pay the money in installments. It had earlier allowed Sahara to raise Rs. 4,298 Crores by selling nine real estate properties in Amritsar, Ahmedabad, Chauma, Ajmer, Bhopal, Bhavnagar, Jodhpur, Pune and Vasai apart from allowing the Group to raise funds by de-freezing its bank deposits and other financial instruments to the tune of Rs. 2,500 crore. It had also recently said that Sahara's liability stood between a staggering Rs. 33,000 Crores and Rs. 35,000 Crores. To add to the overflowing cup of woes for the conglomerate, the Income Tax Department has approached the Supreme Court with a tax demand worth Rs. 4,800 Crores against Sahara. The Sahara Group, headed by its now crestfallen Chief, has a net worth of $11 billion or around Rs. 66,000 Crores ($1=Rs. 60) and more than 36,000 acres of real estate.